4 Leoni: I already wrote about this a couple posts back. The pear ravioli (dumpling) things were amazing! I’ll definitely go back there before I leave. Osteria San Spirito: I had heard a lot about this place but honestly never made it there because it’s across the river (which means far from my apartment). We were looking for this place last Sunday night and were walking all around to find it and ended up actually walking in a huge circle from where we started. But it was worth the walk! The food is amazing and there are half portions, which is what I got, and still a good amount of food that is filling. 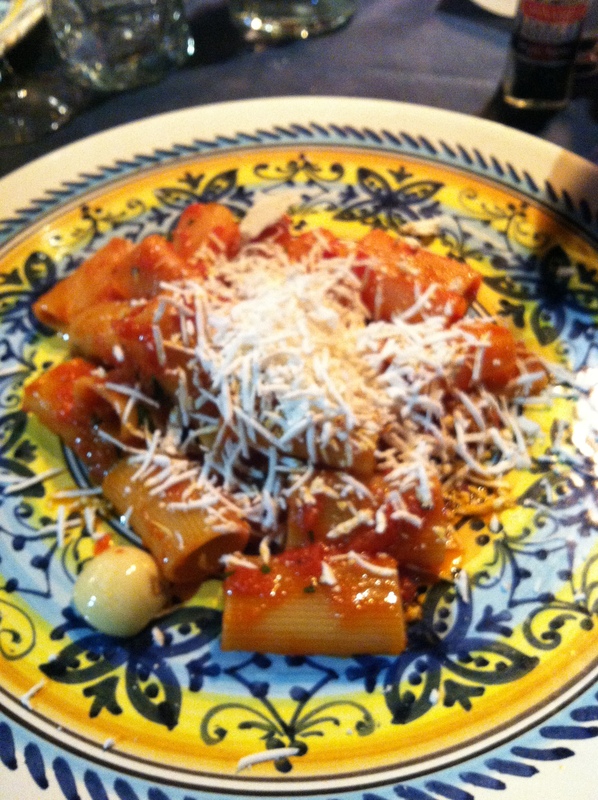 I had the rigatoni with a bolognese sauce – perfection! It was covered in cheese and just melted in my mouth. This is where Justin got the tripe, and Jill a gnocchi with truffle and cheese sauce. The plates were all really cute and festive also! Ok so the portion looks kind of small in the picture – but it wasn’t! Pretty plate, right? 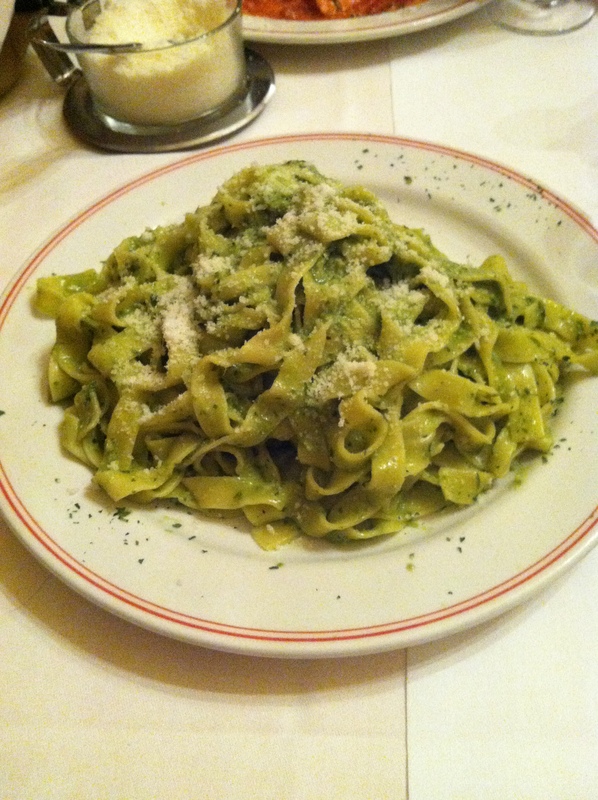 My favorite place we went was TRATTORIA ANITA! Bellisimo! It’s run by brothers and they’re super Italian, old and sweet! We went on a Wednesday, the day after my Food & Wine class, and so I was craving pesto with white wine because we had it the night before and it was ridiculously amazing. There wasn’t any on the menu but I just asked the guy, do you have anything with pesto? And he said, “you like pesto? I’ll get you some pesto!” So then he brought me back a huge plate of fettucini with pesto and it was so homemade and fresh I almost died. 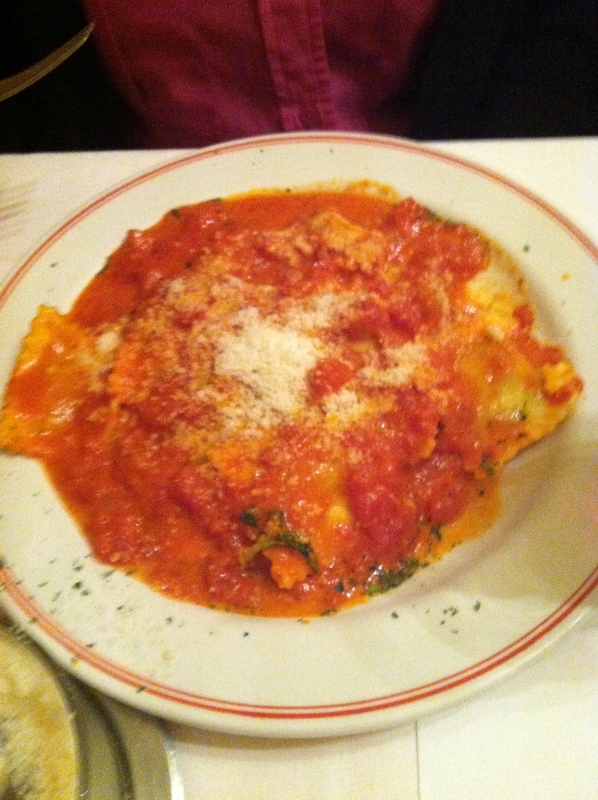 Jillian got some ravioli that she loved and Justin got tortellini that was amazing and the guy had recommended it! I can’t wait to go back there with my friends!! This entry was posted in Food, Life in Italy and tagged cena, dinner, florence, italy, pasta, pesto, ravioli, rigatoni, trattoria. Bookmark the permalink.